My friend’s little boy was turning one last week, so she asked me to make the smash cake for his party. 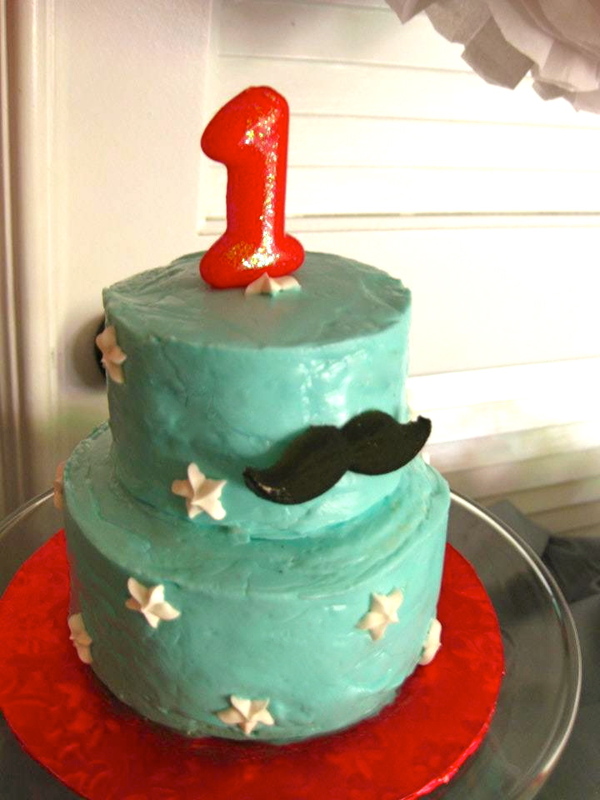 She had decided to do a “Little Man” theme with mustaches and candy shoppe flair. The colors she picked were teal and red and she asked me to make a mini version of a big cake. I had no problem making something that fit her request perfectly. I did a small, two tiered cake. They were four inches and three inches. She gave me the dye she was using for her cupcakes and I was able to find a pressed sugar mustache that was just the right size. 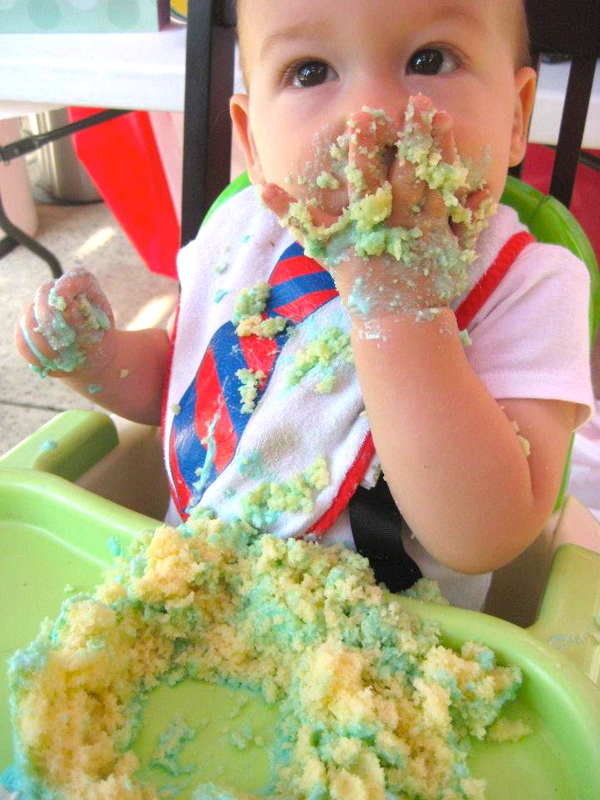 As you can see from these pictures, Levi was more than happy with the cake. Looks like he liked it!